Song of the day: The Scruffs – "Let You Down"
Can any of you explain to me exactly what the word “crunchy” means? I’ve seen it used plenty of times in power pop album reviews (e.g., “The guitars are crunchy”, “It’s crunchy power pop”, “Now that’s crunchy” etc), but I have no idea what that actually means. Does it mean that the guitars are very distorted? Slightly distorted? Compressed? Distorted and compressed? Or does it mean that the musicians ate cereal during the recording sessions? I’m at a loss because it’s one of those vague musical descriptions that I’ve always found baffling and irritating because it doesn’t tell me anything. Like when classical music reviewers talk about a piece having “depth”. What? Anyway, enough of my blathering. I’m sure you don’t want to see that word again for quite a while. I don’t know why that happened, and I don’t know if that’s ever happened before, but changing the name of the band as well as the album sure is a weird thing to do. And, if all that wasn’t weird enough (it is), there’s another band from Memphis, Tennessee, called The Scruffs – but they differentiate themselves from the other Memphis Scruffs by calling themselves The Scruffs with Tommy Hoehn. I’ve just realised that today’s date is the 1st of April. I guess all of this would make a dandy April Fools Day joke if it wasn’t all true. But it’s all true. And I don’t know why. But I do know it’s starting to hurt my brain. 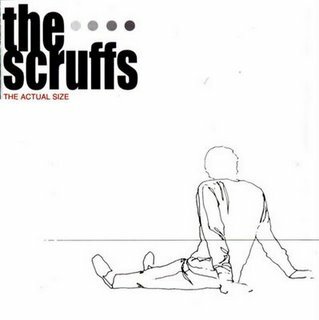 Song of the day: The Scruffs – "Nobody Slows"
Incidentally, there’s another band called The Scruffs on MySpace, but they’re from Scotland. You are currently browsing the archives for the Scruffs category.